Face Mask For Acne - What Are The Best Face Mask For Acne? If you have ever considered using a face mask for acne, you are not alone. They are a popular option for those who want to clear up acne, as well as have beautiful-looking skin. Much of the success you can have with using face masks comes down to which one you are using. The face mask is only going to be as effective and good as the ingredients it was made with. Face masks for your skin can be done at home or in the spa. Choose the right one and you will find that it clears up your acne and leaves you with gorgeous skin. Make the wrong selection and you may find that it does nothing but give you something to peel off your face. The good news is that there are plenty of options available when it comes to a face mask that will help you address acne concerns. Many people use a face mask for acne. There are many other people who use them to help tone their skin, hydrate it, tighten, and nourish. There are many benefits to using a good face mask. They are products that are made from a mixture of ingredients in order to form a gel-like or lotion-like substance that you spread on your face, usually leave it on there for a designated amount of time, and then peel off. They are effective at treating various skin conditions, unclogging pores, removing excess oil, and lessening acne. Depending on how each one has been formulated, there are some that target clearing up acne, while others may address wrinkles and help to revive the skin’s elasticity. Face masks are affordable, readily available, and are easy to use. You can easily find a face mask for acne to use at home, or you can also seek out professional ones by going to the spa. Getting face masks is one of the most popular treatments that people choose at the spa. When selecting which one you will use, it’s important to select products that are tailored to your skin type, according to the American Academy of Dermatology. They recommend that if your skin is sensitive, for example, that you choose products that state they are for people with sensitive skin. Just about everyone makes an ideal candidate for using face masks. They are notorious for leaving your skin feeling great. So even if you use a face mask for acne, you may decide to continue using them until the acne is gone, because they leave your skin feeling so smooth and soft. Face masks are a great way to not only help yourself look and feel great, but to pamper yourself, too. Face masks have a great way of removing what you don’t want from your skin, including dirt and excess oil, and nourishing it with what it needs. They are also a great way to relax. Get a mask at a spa and you will really be relaxed. 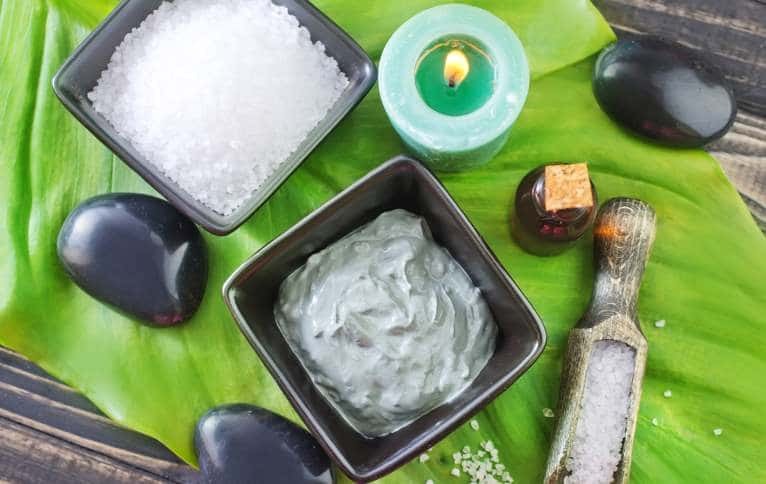 Do it yourself at home, and as long as nobody surprises you by coming to the door you will love relaxing as it works its magic on your skin. Using a face mask for acne can be a little messy, because they are a product that you need to spread on your face if you are doing it yourself, as opposed to going to a spa. However, once you put it on a couple of times, you may find that you enjoy the process and it’s relaxing. You may also end up being one of those people who like peeling the thin layer of mask off of your face once the time is up. Some people find that relaxing, fun, and exciting. It’s always fun to see how the skin looks once the mask has been gently peeled away. If you choose a colorful mask, you can also have a little fun posting a selfie! Skin comes in all different types, so you won’t necessarily want to use the same kind of face mask for acne that your friend or family member may use. When it comes to choosing a face mask to help you achieve clear, beautiful skin, it’s important to consider the type of skin you have and the choose a product with that in mind. The good news is that there are plenty of options to choose from and the effectiveness of some face masks has been put to the test, with scientists weighing in on whether or not they work. In a study published in the journal Research in Complementary Medicine, researchers looked at the effectiveness of using a clay jojoba oil mask for acne. For this study, they had 194 people who participated by applying the facial mask 2-3 times per week over the course of six weeks. They assessed the outcome of their skin at both the starting period and after the study was over. They found that there was a 54% total reduction in skin lesions after the 6-week study by those who used the clay jojoba oil mask. Inflammatory and non-inflammatory lesions were reportedly reduced significantly. They concluded that clay jojoba oil facial masks can be effective at treating mild acne. Jojoba oil is an ingredient you will find in many types of skincare products. This is because it has a great reputation for providing your skin with the nourishment that it needs. Jojoba oil has numerous benefits, including that it is moisturizing, is an anti-inflammatory, is antibacterial, and will help you slow down the aging process of your skin. It’s pretty much everything you want in a skincare ingredient, making it a popular pick for those who develop lotions, creams, and facial masks. The clay part of it provides minerals that help the skin to become better nourished. Takeaway: A clay jojoba oil mask for acne should bring great results. Not only should it help to clear up acne, but it’s also great for helping to clean, moisturize, and make your skin beautiful. Check facial masks at your local beauty supply store or online for one that contains clay and jojoba oil. There are many different kinds of masks you can use to help clear up acne. People have been turning to the medicine of ancient China for thousands of years. Even today, there are many people who turn to Chinese secrets when it comes to having beautiful, clear skin that looks healthy and well-nourished. Opting for a Chinese medical face mask for acne may be the right choice for you to help clear up the acne and get the beautiful-looking skin you are after. 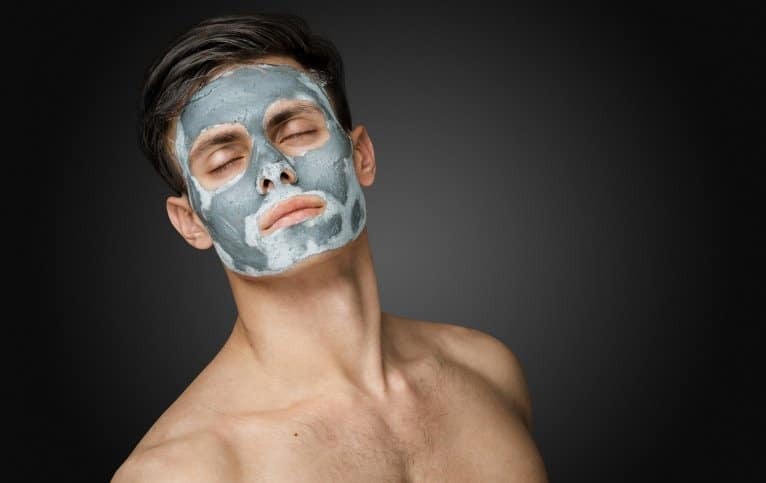 You should be able to find one to order online, in a local beauty supply store, or you may be able to find a spa that is offering this type of facial mask. In a study published out of Beijing that was conducted by the Chinese Academy of Chinese Medical Sciences, researchers shared their findings from putting this type of face mask for acne to the test to see how effective it was at treating acne. The study included 223 patients who had the Chinese medical facial mask applied two times per week for four weeks. The patients’ skin was assessed after one week, two weeks, and again after the fourth week. The researchers concluded that the Chinese medical facial mask provides a safe and effective treatment for acne. They report that any adverse reactions to it were very low and that the product itself is easy to use and apply. Takeaway: When it comes to treating acne, it is a safe bet to turn to the wisdom of Chinese medicine. When put to the test, the Chinese medical mask demonstrates that it is an effective product to help clear up acne. Be sure to do it a couple of times per week for a month in order to get the best results. Using a botanical face mask for acne is a great way to help keep it natural as you clear up acne. Botanical products are derived from plants, so you will be helping to avoid putting harsh chemicals on your skin, which could make matters worse. Botanical ingredients are often found in skincare products because of their nourishing properties. They help to provide clear, beautiful skin, and do so naturally. Botanical facial masks often have essential oils in them, which are great for treating acne, as well as helping to address acne scars. If your face has redness or inflammation from the acne, you may want to try a botanical night mask to help clear it up. In a study published in the Journal of Drugs in Dermatology, researchers shared their findings from putting botanical night masks to the test to help address facial redness, a common cosmetic problem of the skin. They used botanicals that were anti-inflammatory and were antioxidant. They evaluated the skin for redness, smoothness, firmness, radiance, luminosity, and overall appearance. They found that botanical products were helpful in reducing facial redness. Takeaway: Using a botanical night mask is a simple way to help clear up acne, as well as any redness and irritation you may have. Simply choose a face mask for acne that has botanical properties, put it on at night, and enjoy the benefits that it will provide. They can be purchased online or at stores where beauty products are sold. Yogurt is something that millions of people eat during the day, because they know that it’s more than just tasty. Yogurt has natural probiotics that are effective at helping to make you healthier and improve your digestion. What many people are not familiar with is that a yogurt face mask for acne can be an effective way to clear up your skin, and help it look fresh, clean, and healthy. There’s a bonus here, too, in that you can make your own yogurt face mask. That helps keep it more affordable and you will know exactly what is going into it, rather than there being a list of ingredients you have never heard of. Researchers conducted a study to see how effective facial masks containing yogurt were. Their findings were published in the Journal of Cosmetic Science. They formulated their own yogurt-based mask, using all-natural ingredients, and had participants use it. They assessed their skin for levels of moisture, melanin content, and elasticity. They concluded that using the yogurt-based facial mask successfully improved moisture, brightness, and elasticity. Yogurt face masks have a reputation of helping people to clear up their skin and create a beautiful, natural look that they will love. Takeaway: Yogurt may be a great breakfast food, but it can also help you clear up your skin. Using a yogurt-based face mask for acne is an effective way to help give you healthy, smooth, beautiful skin. See the recipe at the bottom of this article to make it yourself. While it sounds like something you would need to go to the spa for, today you can use light therapy masks right in your own home. They are readily available for purchasing online and in beauty supply stores. This type of face mask for acne has been found to be effective at clearing up acne. Typically, they involve wearing a mask that allows blue light to target the acne-causing bacteria, while the red light helps to reduce the inflammation. These store-bought light therapy masks use the same type of technology that the dermatologists office does, but it is more affordable and convenient. In a study published in the Journal of Clinical and Aesthetic Dermatology, researchers put light therapy masks to the test to see if they are effective in helping to clear up acne. They tested the light therapy mask both with and without using topical 1% salicylic acid with retinol versus 2.5% benzoyl peroxide. The study was conducted over a 12-week period. The researchers concluded that light mask therapy is a safe and effective treatment for mild to moderate acne. Takeaway: Light therapy is something that dermatology offices offer for treating acne, but you can purchase a light therapy mask and do it right at home. They provide a safe, clean, affordable, and effective way to help clear up your skin. Exposed. Exposed Skin Care is one of the top-rated products for treating acne, because it’s a complete acne care treatment system. Everything you need comes with the system, saving you money and helping to increase your success rate. Of those who report using the system, 98% of them report that they saw results within just 30 days. You get the tools needed, too, so you are not buying multiple products. It provides all you need to cleanse, treat, and moisturize, all without drying out the skin. The system also has a microfiber cloth with it, so you can do gentle exfoliating, as well as a probiotic to help provide your body with beneficial bacteria that will help fight the acne from the inside out. Aria Starr Dead Sea Mud Mask. Those who have used this Dead Sea mud mask simply can’t rave enough about it. It has been made from professional spa quality ingredients. It’s been designed to eliminate acne, remove blackheads, remove dead skin, exfoliate, and moisturize. It contains shea butter, aloe vera, and jojoba oil, giving it a great combination for helping to create beautiful skin. Many claim it is the best mud mask out there, and some saw results after the first use. Aztec Secret Indian Healing Clay. This deep pore cleanser is all natural and contains clay, which provides minerals your skin needs to be healthy. There are no additives, fragrances, or animal products in it. You mix the healing clay with apple cider vinegar or water and create a mask out of it. Those who have used it claim it works wonders and they are thrilled with the results. Mix the ingredients together and then apply a coat to the face. Leave it on for at least five minutes, before gently washing it off. Alternatively, you can just use the yogurt to put on your face and leave it for at least 15 minutes, but you give it an extra boost by adding in the lime juice and aloe or jojoba oil. Use this face mask 2-3 times per week. Q. Is there a face mask for acne? A. Yes! In fact, there are numerous types of facial masks that will help clear up acne. They will also go a step further to help make your skin softer, nourished, and look healthy. Q. Should I buy a facial mask or go to a spa to have it done? A. That’s a choice you will have to make. You have options when choosing what type of facial mask you want to use for healthy skin. You can save money by giving them a try at home, but if you want the extra pampering, give the spa a try. Q. What is the best type of face mask to use to clear up acne? A. There is no one best type of face mask for acne. There are many options available, including ones you can make on your own, but you will need to choose one based on your unique skin type. What works for one person may not work as well on someone else with a different skin type. Evaluate your skin type and find the type of mask that has been created for that particular type. Q. Can you make your own facial masks? A. Yes, there are many recipes for making your own facial masks. Many natural products, including foods and plants, can be used in making them. Have some fun experimenting with different ones to see which you like best. Can i use Oat Meal and honey mask everyday ?